Although educational standards across Mexico have improved in recent years, the dropout rate is still nearly 50 percent—with only 62 percent of students even reaching high school. Twin brothers Dan and Ari Agami, two young Applied Scholastics Instructors who attended the Delphian School in Oregon and trained at Applied Scholastics International, along with massive support from the entire Agami family, have taken on the massive task of introducing Study Technology to the Mexican educational system. Shown above are students at the Aquiles Serdán School—who were just a few of the students on the Study Technology pilot program that changed their lives—proudly hold copies of Learning How to Learn. 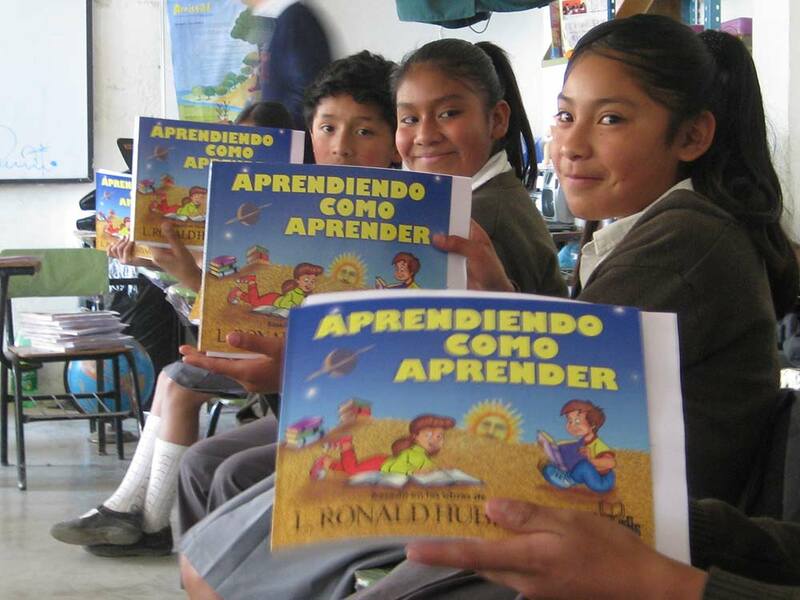 In the process of gaining the Department of Education of Puebla State’s full support for the Applied Scholastics program, Dan and Ari trained 600 teachers, and subsequent test scores among their 28,000 students revealed dramatic improvements. The brothers, Dan and Ari Agami have worked extensively with Department of Education officials from the Mexican state of Puebla, and have personally trained teachers, administrators and students on Study Technology. Ari and Dan have trained over 2,000 teachers, over 4,200 students and parents, and provided 150,000 books to educators. Their work has resulted in 1.3 million students receiving a higher level of education—and in many cases a brand new life.